Let me ride that train. Oh, Lord – prayin’ for shore. 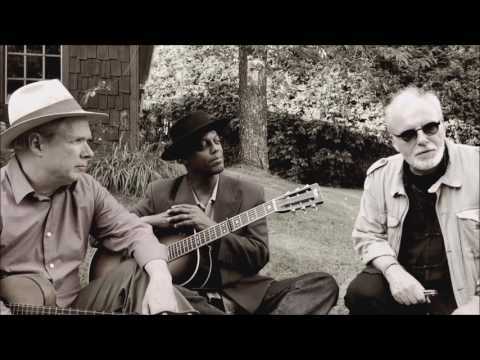 The title track is an instrumental featuring Bibb on a resophonic 12-string guitar, Browne on a 12-string slide guitar, and Milteau on harmonica. This interlude offers listeners a much needed moment to take a deep breath and reflect on the many threads connecting the songs. Other stand out tracks include “We Had to Move,” inspired by the life of James Brown, the instrumental “La Vie C’est Comme Un Oignon” referencing the expulsion of Acadians from Nova Scotia in the 1700s (ft. Browne on fiddle and ti-fer). Also included are several covers: Bob Dylan’s “Masters of War,” which unfortunately is still very relevant; Woody Guthrie’s “This Land Is Your Land;” and an arrangement of the traditional spiritual “Mornin’ Train,” closing the album with the message that our final migration is to heaven, and everything else is transitory. Migration Blues is a masterful album that’s both timely and historical in nature with its exploration of journeys and diasporas, of the impact of migration on musical borrowings and innovations, and perhaps most important—our shared humanity. 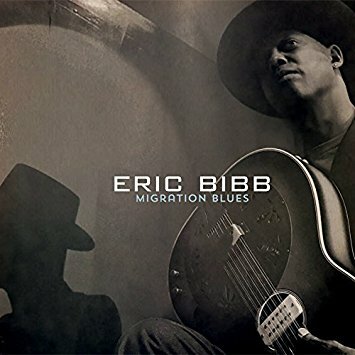 This entry was posted in Blues and tagged 2017 music, 2017 releases, black music, Blues, Brenda Nelson-Strauss, Eric Bibb, Eric Bibb - Migration Blues, Eric Bibb - Migration Blues review, Migration Blues by aaamc. Bookmark the permalink.